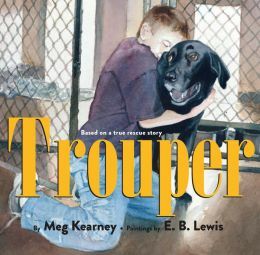 The story starts with Trouper, a stray three-legged dog running with a pack of dogs on the streets until they are all captured and loaded up in the dog catcher’s truck. The dog in this true story was taken first to a kill shelter, then rescued by another shelter. There is no mention of the kill shelter in the children’s book. It is only in the preliminary material so can be shared with readers, but doesn’t have to be. 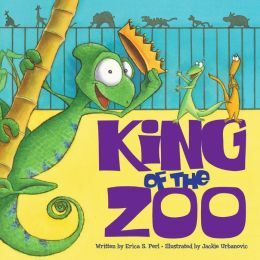 The full color illustrations show him as he waited and waited for someone to choose him and take him home. 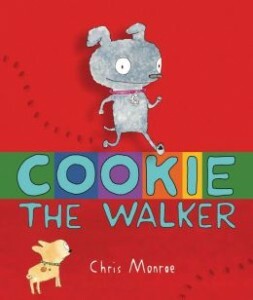 Children will love this story of how dogs and puppies watch for new owners to come and pick them out. 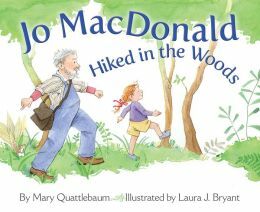 This lovely book was developed together by the award winning poet, Meg Kearney and Caldecott Honor winner, the illustrator E.B. Lewis. Second grade readers will be able to read the short text individually and will be able to use their newly developed literacy skills of context clues, predicting outcomes, and realizing the related cause and effects. 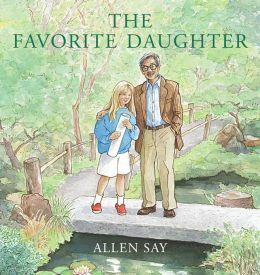 In the adventure in Tokyo, late first grade or second grade readers will delight and giggle as the duck bumps into a rickshaw while busily looking at the signs along the crowded street, and falls into a koi pond. The duck has to be rescued by Dodsworth. Who knew a duck couldn’t swim? This in turn, causes a lady to send a tray of wagashi (Japanese desserts) flying through the air. But the duck redeems himself by returning a little girl’s favorite toy, a kendama. 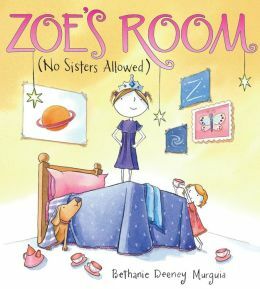 Because some of the words do not follow phonetic rules, this book would be best for skilled first or second grade readers if the children are reading the book alone. Even skilled readers may need pronunciation help with many of the words. However, this book would make an excellent addition to a geography lesson about Japan, as a read aloud by the teacher. A class might enjoy reading the Dodsworth books in order of completion, with a world map displayed on a board. 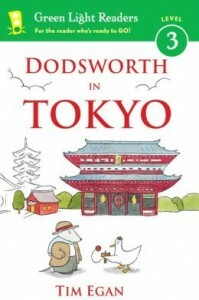 Place flags on the map of the various places Dodsworth visits and encourage the kids to learn to recognize the cities and countries Dodsworth and his misbehaving duck visit. 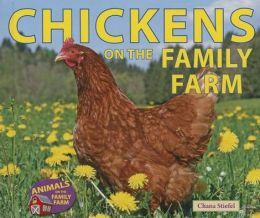 In this virtual field trip to a family farm, readers will learn how farmers keep and care for chickens. Part of the “Animals on the Family Farm” series, this book is a great introduction to farm living and animal science. On a family farm, everybody wakes up early to pitch in. The chickens need to be fed. The coop looks like a large tent on wheels. It has to be big enough to house the birds, but easily moveable so they can graze different parts of the field every day. The coop also protects chickens from predators like foxes or hawks, although a rooster will sound the alarm if he senses danger. 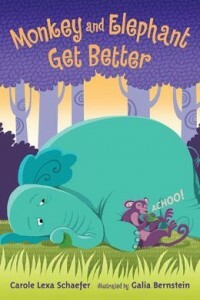 Children will enjoy the fun facts sprinkled throughout the book. Did you know that some chickens lay blue or green eggs? Did you know that certain breeds are used for eggs while others are used for meat? A farmer can collect 150 eggs in a day. And, of course, a book about chickens isn’t complete without pictures of adorable baby chicks. 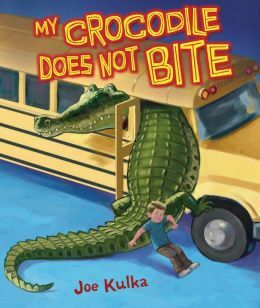 With eye-popping colors and oversized headers, each page layout is a digestible “chapter,” a few sentences long, perfect for second grade readers. Crisp, full-page photographs help to illustrate the text and keep the reader engaged. The “Words to Know” section, table of contents, and index will also assist with their comprehension. Other books in this series (which feature cows, goats, sheep, pigs, and turkeys) can be found on the publisher’s website: www.enslow.com. Additional reading resources and reputable websites are also listed.